These are some amazing weather facts I learned about when teaching about weather 15 years ago. I created these posters for my classroom bulletin board using Appleworks. I rediscovered them a while back and felt they were worth reworking and sharing with others. I hope you enjoy them. 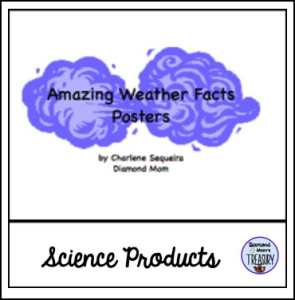 Here are some more of my science products for you to check out. Click here to see my other science products all in one place.